SIOUX FALLS, S.D. (AP) - Macy Miller finished with 30 points, giving her 2,295 to set the Summit League's career mark, to help South Dakota State beat South Dakota 83-71 on Tuesday to earn an automatic berth in the NCAA Tournament. The Jackrabbits have won nine of the last 11 Summit League tournaments, including two straight. Miller broke the mark of 2,277 set by Kevi Luper (Oral Roberts, 2009-12) with a second-quarter layup in the midst of a 24-4 run that gave South Dakota State a 45-34 lead after Rylie Cascio Jensen hit back-to-back 3-pointers. The Coyotes (28-5) missed 9 of 10 from the field during that stretch before two layups by Hannah Sjerven trimmed their deficit to seven at halftime. 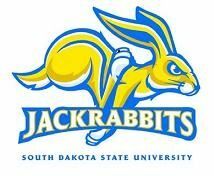 The Jackrabbits (26-6) scored nine of the first 11 third-quarter points to make it 54-40 and South Dakota trailed by at least eight points the rest of the way. Miller hit 4 of 7 from 3-point range and grabbed 11 rebounds, while Madison Guebert added 22 points, including three 3s for South Dakota State. Allison Arens scored 26 for the Coyotes. Ciara Duffy, who came in leading the team in scoring at 15.1 points per game, left the game in the opening minutes with an apparent ankle injury. She returned later in the first quarter but was limited to 15 minutes, scoring four points on 2-of-3 shooting. South Dakota could become the first Summit League team to earn an at-large bid to the NCAA Tournament. The Coyotes were ranked No. 25, their first appearance in program history, in the Feb. 11 AP poll and have received votes in each poll since.